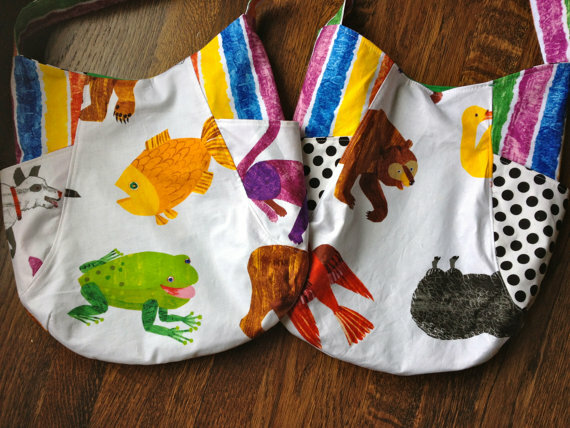 This adorable bag is perfect for an end of the year teacher gift or lover of Eric Carle. The coordinating cotton fabrics come from the Brown Bear collection by Andover with a green Kona lining. The interior of the bag has a pocket as well as a magnetic snap closure. 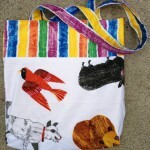 The tote is currently made to order and will take 3-5 days to ship.